Cooking a steak indoors will never match the lazy summer afternoon feeling of outdoor grilling, but the end result can be surprisingly good. For example, a T-bone or porterhouse seared under your oven's broiler is nearly indistinguishable from one that's grilled over gas or coals. That's because the two methods are almost identical, except that a broiler’s heat comes from above rather than below. Blot your steak with paper towels to remove any excess surface moisture, then season it generously with coarse sea salt or kosher salt. 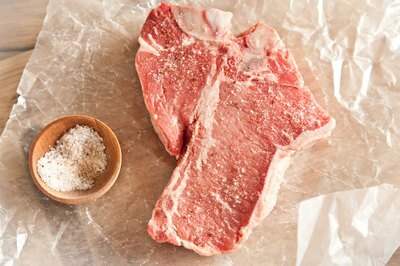 Let the T-bone rest for at least 45 minutes, or as long as a day or two, so there's plenty of time for the salt to dissolve and be reabsorbed into the meat. 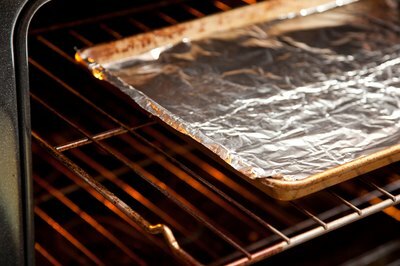 Position a rack in the upper third of your oven, so your broiler pan will sit 4 to 5 inches from the broiler element. Turn on the broiler to preheat. 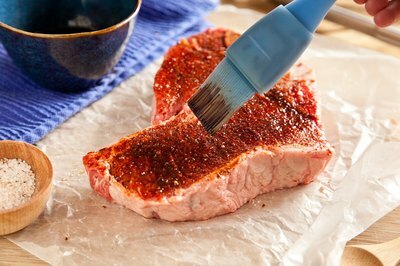 Brush the steak with a liquid marinade, if you wish, or massage it with a dry spice rub. If you choose to broil the steak plain, or with a dry spice rub, spray it lightly with a high-temperature vegetable oil first. 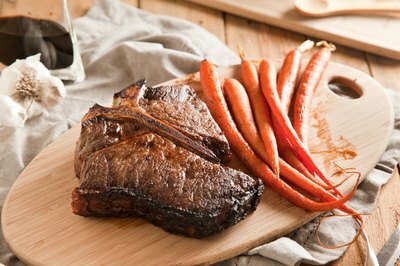 On a plain steak it promotes browning, and on a spice-rubbed T-bone it reduces the risk of your spices burning and giving the steak an acrid, bitter flavor. Place the steak on your broiler pan. 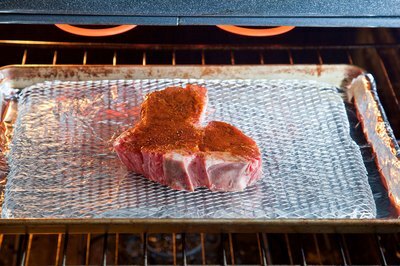 If you don't have a broiler pan for your oven, you can achieve a similar effect by lining a heavy sheet pan with foil, then placing a wire trivet on top as a platform for your steak. As with a regular broiler pan, the steak's rendered-out fat will drip away and be captured underneath. Slide the steak into your oven, positioning it directly below the broiler element. 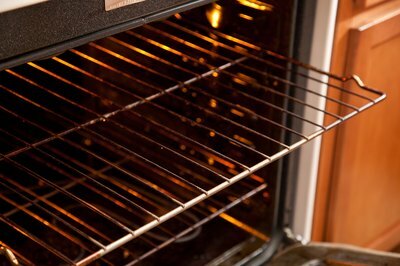 If you have an electric oven, the door is likely designed with a notch on its hinges, enabling you to leave the oven door open slightly while broiling. Consult your owner's manual to be sure if that's the correct procedure for your range. 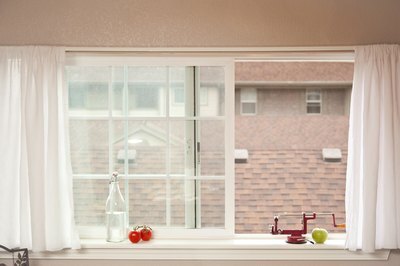 Turn your range's vent hood to its highest setting and open windows in your kitchen if possible. Like grilling, broiling generates billows of smoke. This is part of the charm of cooking steaks outdoors, but is much less enjoyable in an enclosed space. Broil the steak for up to 10 minutes on each side, depending on its thickness and your preferred level of doneness. If you position the steak with its bone facing the oven door, you'll easily be able to grasp it with a pair of tongs when it's time to turn the steak. 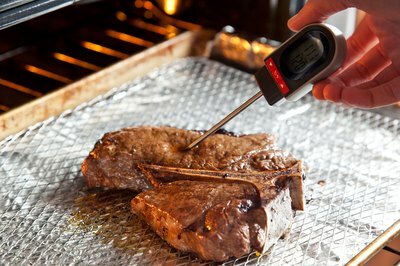 Remove your steak from the oven when a meat thermometer or instant-read thermometer inserted horizontally into the striploin side of the steak measures the correct temperature. That's approximately 120 to 125 degrees Fahrenheit for a rare steak, or roughly 130 F for medium-rare. Thick steaks will continue to cook for a few minutes after they're removed from the oven, so aim a few degrees short of your target temperature. 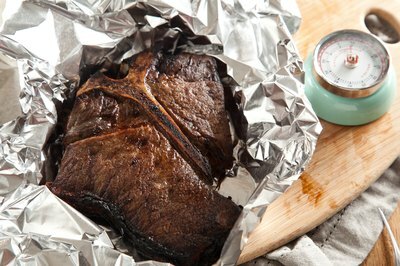 Rest the steak for 5 to 10 minutes, under a loose cover of aluminum foil, then portion and serve. T-bone and porterhouse steaks have a large surface area, which means they'll be thin if you buy individual portions. That creates an unnecessary risk of overcooking, so for broiling it's better to buy a single large T-bone, at least 1 1/4 inches and up to 2 inches in thickness. These can easily weigh a pound or more and will feed two people handily, even after allowing for the lost weight of the bone. The smaller tenderloin portion of a T-bone steak is always leaner than the large striploin portion, and usually cooks to a greater degree of doneness in the same time. To prevent this, loosely fold a piece of aluminum foil over the tenderloin for the first 6 to 8 minutes of the cooking time, then remove it carefully with your tongs. 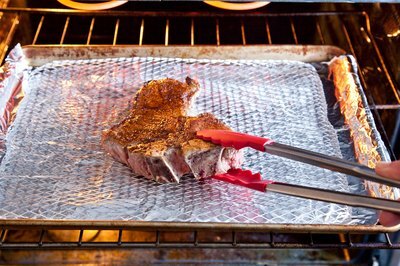 The foil deflects your broiler's radiant heat, slowing cooking in the underlying tenderloin.